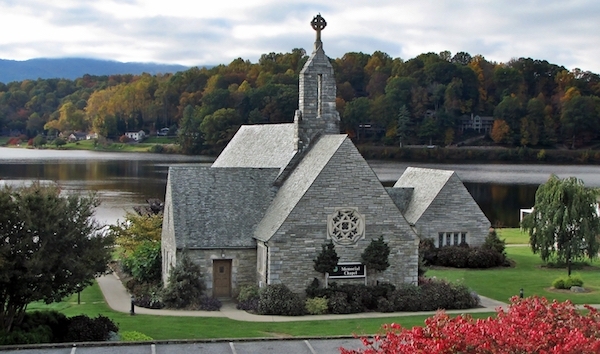 About 25 miles west of Asheville, Lake Junaluska makes for a great destination run. This popular retreat and conference center has a lovely paved walking trail that encircles the lake, with water and mountain views for nearly the entirety. There are two loop options: 2.3 miles, using the Turbeville Footbridge, or 3.8 miles, which requires a short section along a busy road. There are numerous other facilities here — a public outdoor pool, aquatic center, a conference center, and a waterside restaurant. Waynesville Greenway connects near the south side of the lake, and is a great 5.3 mile multi-use trail that follows Richland Creek. There’s a connector trail between Lake Junaluska and Waynesville Greenway. See the map.